We are eminent manufacturers and suppliers of a remarkable gamut of Candles and Diyas. Our collection of products, which can be availed in customised form, are bringing a sparkle of light to plenty of homes and restaurants across the country. We hold all the aces in the manufacturing and supplying a premium quality assortment of Candles, Holders, Diyas, Dry Flowers & Incense Stick. 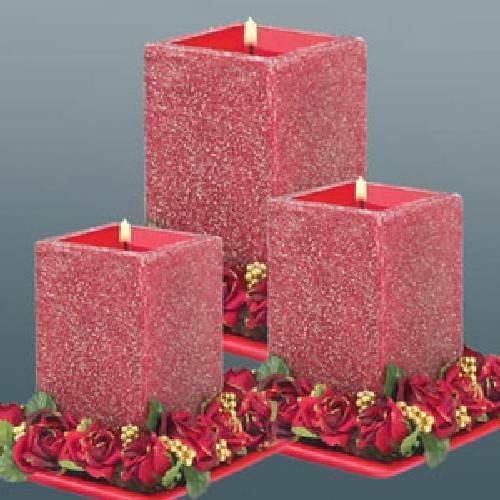 Under this array, we offer Glitter Candle, Colored Candle, Container Candles, Lamp Candle, Diwali Diyas and Lamp Votive Candle Holders. The offered products are in high demand as these are manufactured using premium quality raw material, sourced from the vendors of high repute. Moreover, the offered products are made in-line with globally laid quality standards to ensure these are able to stand tall on the expectations of patrons. We also provide these items in customized form. We are also looking for Export Enquiries.